Manufacturer of a wide range of products which include ss bench with back ussb-04. We manufacture the best quality of Stainless steel perforated bench which are acknowledged in the market for their longer functional life and high quality. 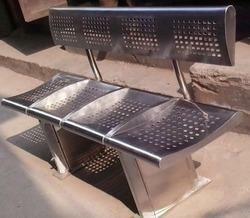 These perforated benches have been designed and manufactured in an excellent manner which are fabricated using top grade quality material.